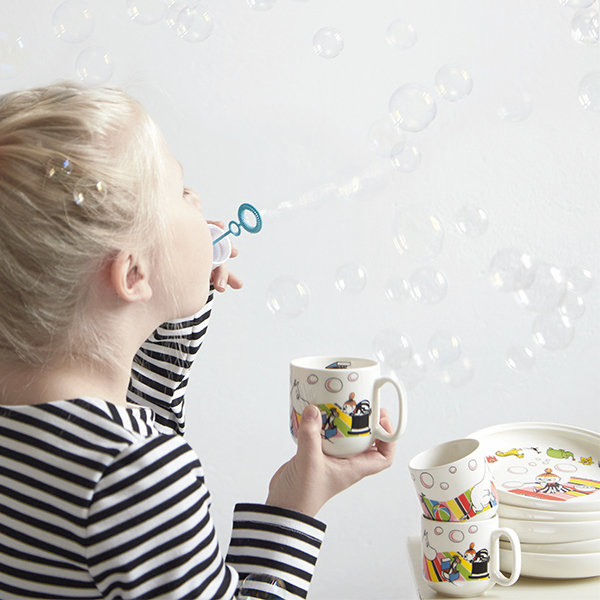 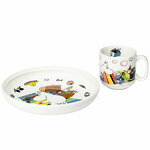 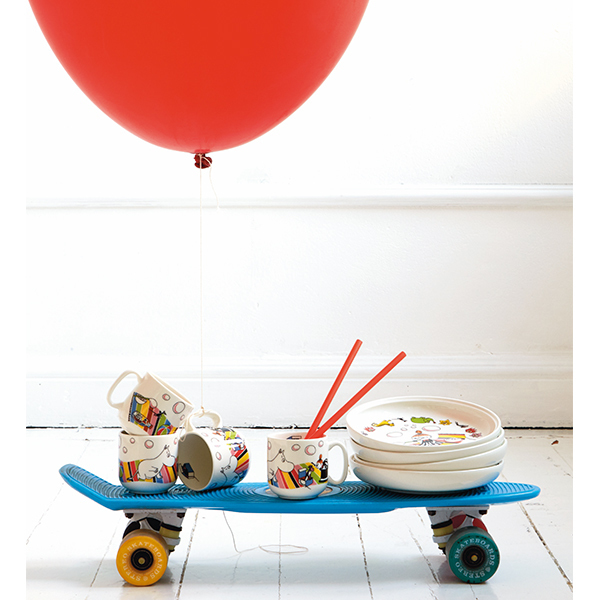 The Moomintroll children's tableware set from Arabia comprises a small ceramic plate and mug, designed by Richard Lind. 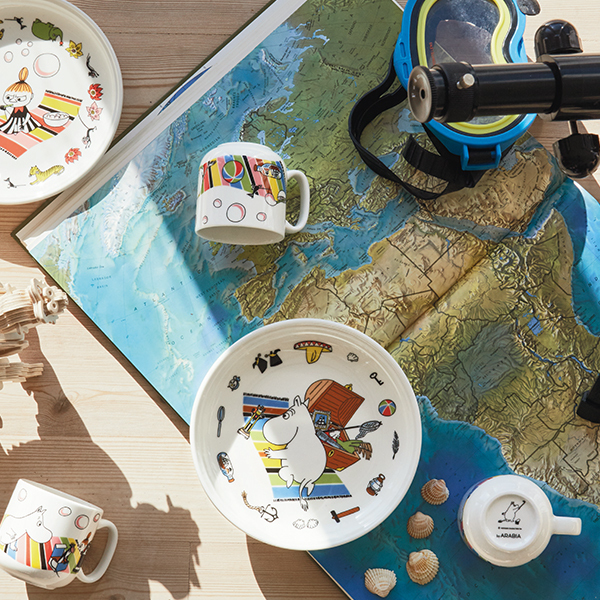 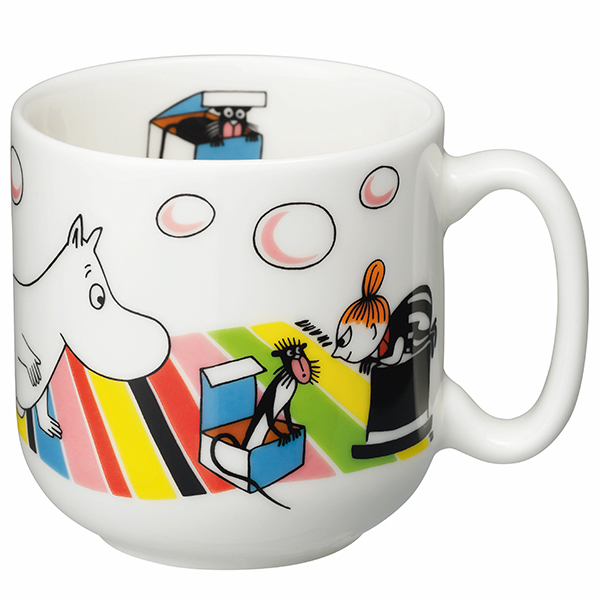 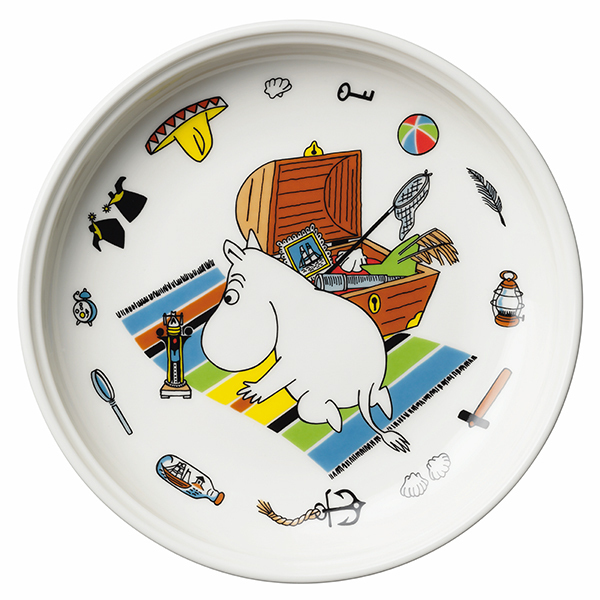 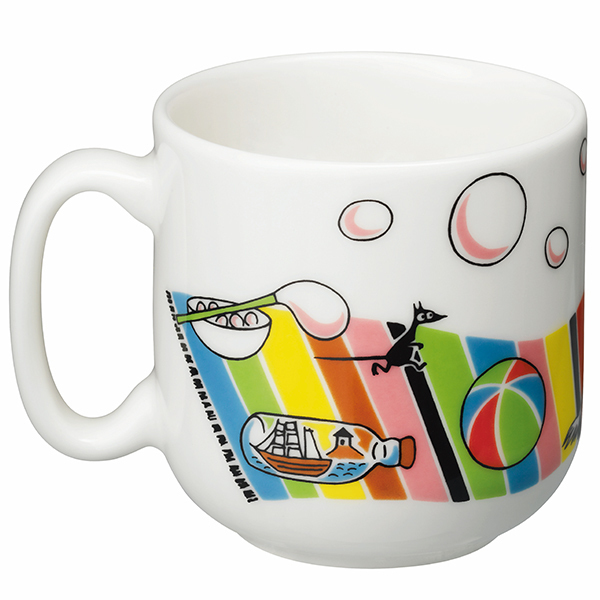 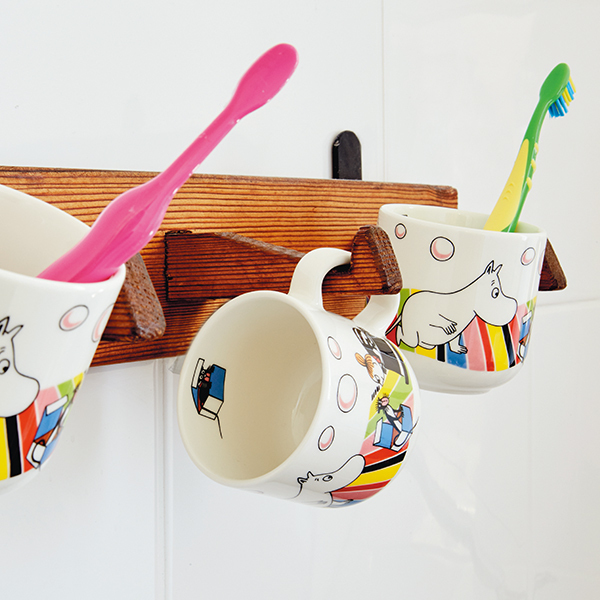 The fun illustration on the plate depicts Moomintroll going through memorabilia from Moominpappa’s exciting adventures, whereas the mug features Moomintroll with Little My and an animal friend. 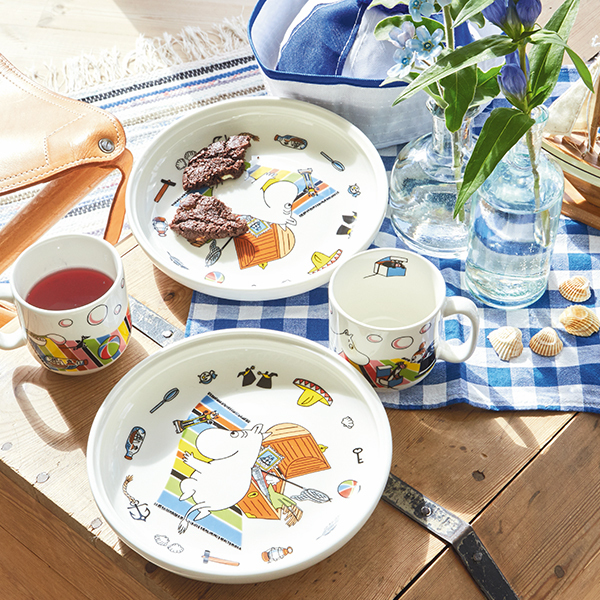 The delightful set is dishwasher, freezer, microwave and oven safe.